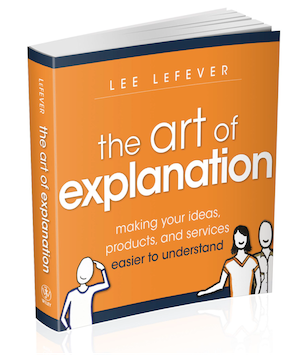 The Art of Explanation (Wiley, 2012) is a guide to making ideas, products and services easier to understand. It builds Lee LeFever's experience in creating explainer videos for Common Craft members and clients since 2007. The book has received international acclaim and has been translated into seven languages. Read 100+ reviews at Amazon.com. Enhanced ebook includes videos in the book for Kindle and Apple devices.